One of the most important IT trends over the past decade has been the proliferation of ever wider and deeper sets of information sources that businesses use to collect, track and analyze data. While structured numerical data remains the most common category, organizations are also learning to exploit semistructured data (text, for example) as well as more complex data types such as voice and image files. They use these analytics increasingly in every aspect of their business – to assess financial performance, process quality, operational status, risk and even governance and compliance. 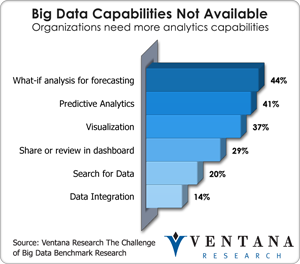 Properly applied, business analytics can deliver significant value by deepening insight, supporting better decision-making and providing alerts when situations require attention from managers or executives. I’ve frequently commented on the artificiality of the emerging software category of governance, risk and compliance (GRC). The term is used to a cover a combination of what were once viewed as stand-alone software categories, including IT governance, audit documentation and industry-specific compliance management, to name three examples. While it’s still common for specific types of software to be purchased piecemeal by different departments, these disparate areas have started a long convergence process. 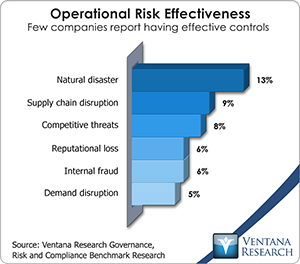 Since just about all controls and risk management efforts require a secure IT environment to be effective, there is a growing interdependence between effective IT governance and everything else connected with enterprise GRC. 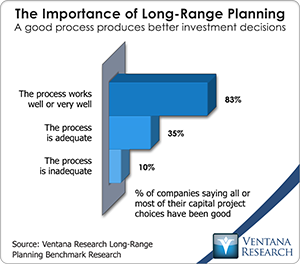 Ventana Research completed an in-depth benchmark research project on long-range planning recently. As I define it, long-range planning is the formal quantification of the strategic plan and how that strategy is expected to play out over a period of time. 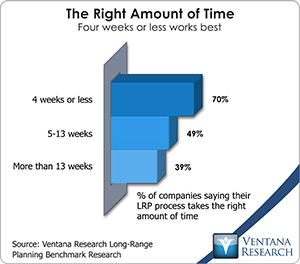 The benchmark demonstrated that there’s room for improvement in almost every aspect of the long-range planning process. 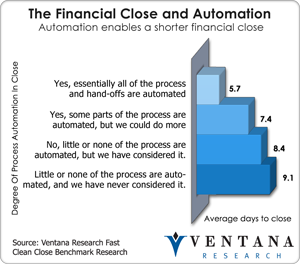 Almost all (95%) of those participating in the research see the need to advance their process. The research confirmed that long-range planning does not work well in isolation. 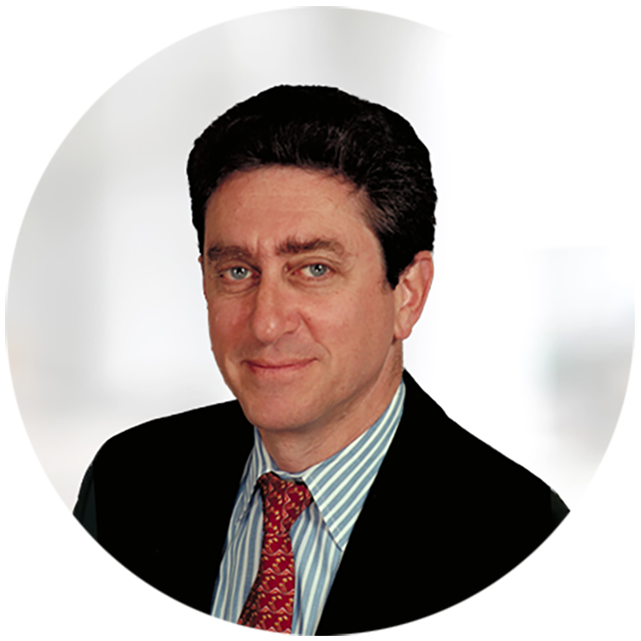 Greater integration of the annual budget with the long-range plan and deeper integration of individual capital projects and initiatives are two ways to enhance the value of long-range planning process. 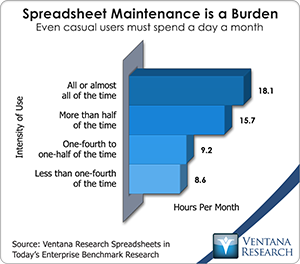 Our recent benchmark research project, Spreadsheet Use in Today’s Enterprise, demonstrated that some companies have made modest progress in addressing spreadsheet issues, but there’s still much left to be done. Desktop spreadsheets can be an important source of productivity but, as I’ve noted, you need to understand their limitations and understand the practical alternatives. Users underestimate the impact of spreadsheet problems on their productivity because they tend to overlook the myriad little issues that constantly crop up. Being human, they overlook the ill effects that occur when spreadsheets are misused, and may be spurred to look for alternatives only when disaster strikes (as it did for one major bank).